The Huawei Honor 8A Pro is equipped with a Media Tek Helio P35 (MT6765) processor. 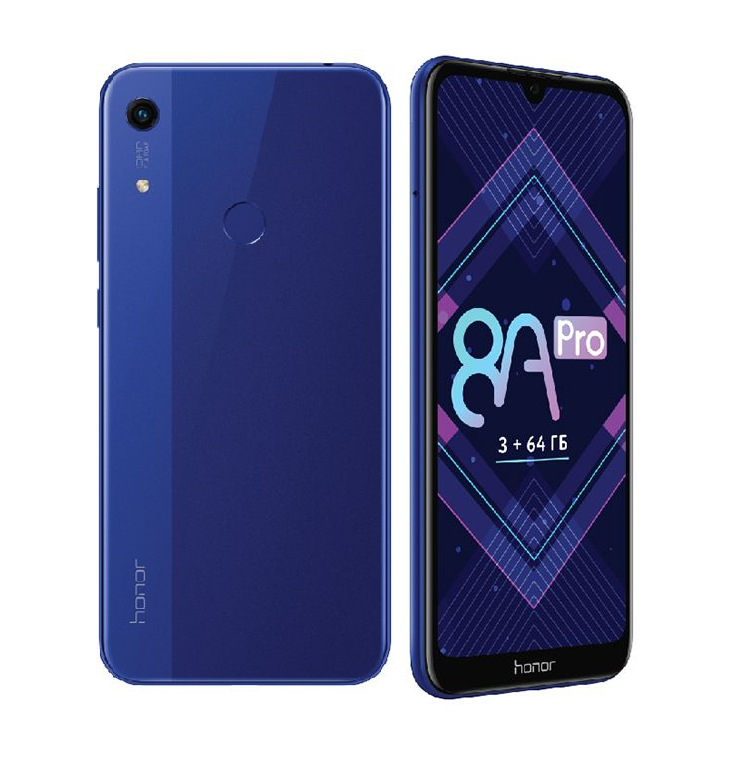 The Huawei Honor 8A Pro comes with 3 GB of RAM and 64 GB of internal memory which can be expanded via a microSD. The smartphone runs OS Android 9.0 Pie. The phone powered by a non-removable Li-Polymer 3020 mAh battery with charging through a micro USB port and (5 V / 1 A) charger output power. The Huawei Honor 8A Pro boasts of 13-megapixels single rear with f/1.8 aperture. The front camera is 8-megapixels with f/2 aperture and face unlock for selfies and video calling. The Phone is available in two colors (Black and Blue) for 215 $. The smartphone comes with a 6.09-inch IPS display with screen resolution 720 x 1560, 1000:1 contrast ratio, 70% NTSC and 79.52 % display area. The dimensions of the phone are 73.5 x 156.28 x 8 mm and weight are 150 g.